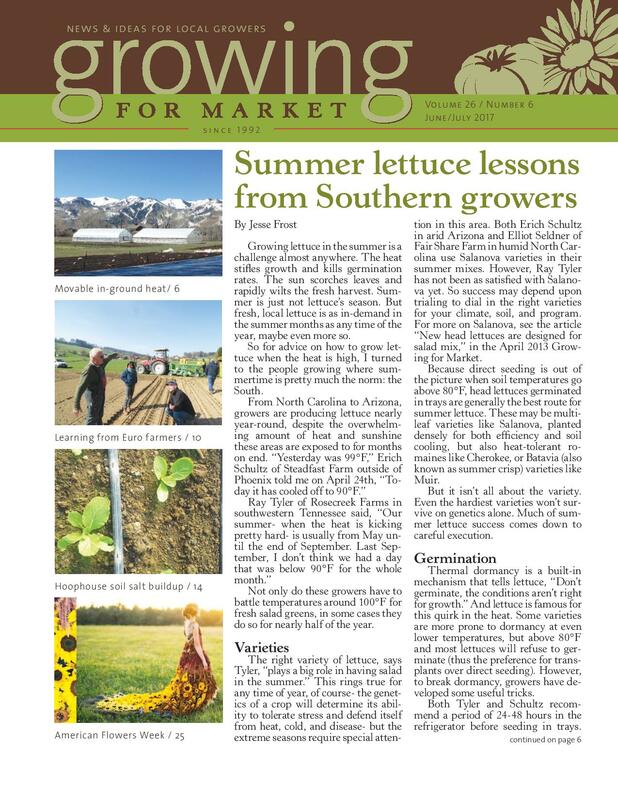 Homegrown Blooms appears in the June 2018 issue of Super Floral Magazine. 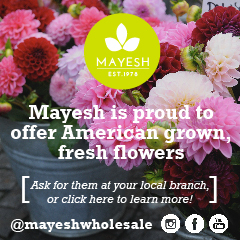 I’m so excited to share the stories of grocery stores around the country who are participating in and promoting American Flowers Week, bringing their customers a new reason to purchase bouquets and bunches of local blooms! 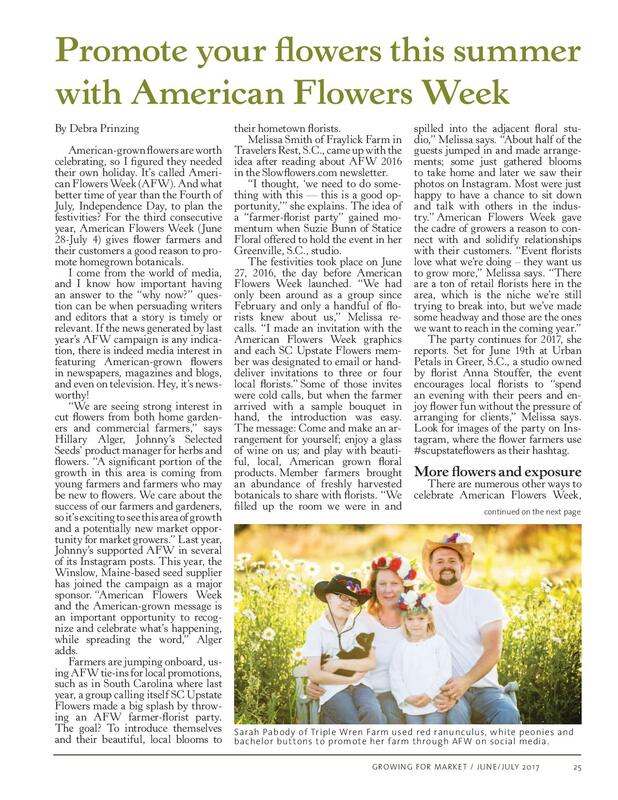 The June issue of Super Floral, a sister publication to Florists’ Review, features my story about just that. 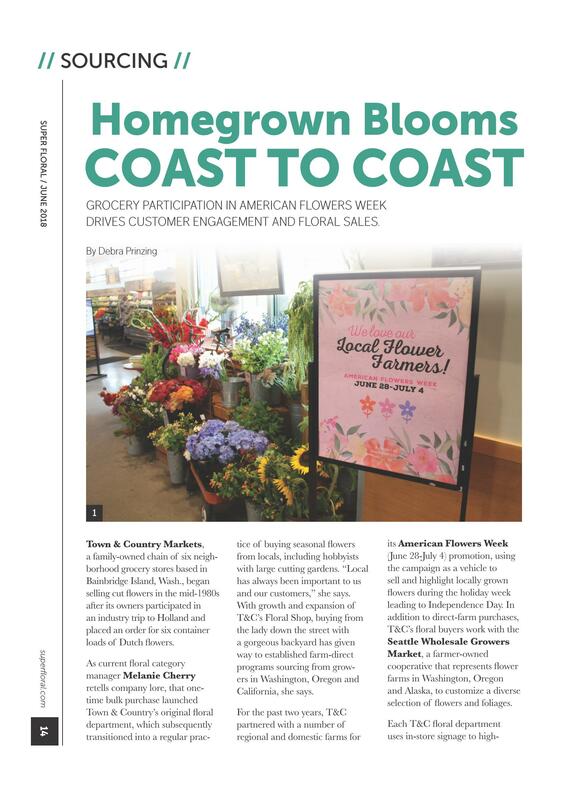 “Homegrown Blooms, Coast to Coast” highlights some of the ways that groceries and supermarkets of all sizes are bringing the message of local, seasonal and sustainable flowers to their shoppers. 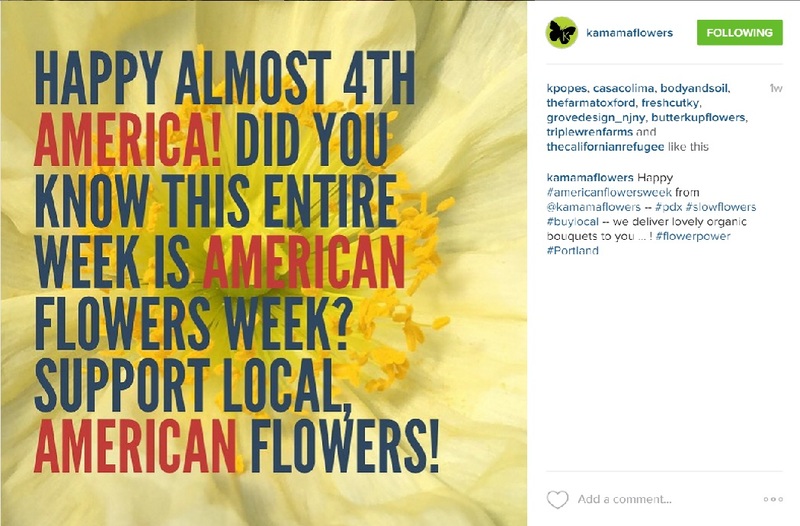 Yes, you read that right: 401,637 Impressions on Instagram & Twitter alone for #americanflowersweek! From boutique growers to the country’s largest flower farms; from studio florists to grocery stores and wholesalers, too, we celebrated American Flowers Week as a grass roots education, promotion and advocacy campaign to highlight our nation’s flowers and foliage — and to raise awareness among consumers, the media and policymakers about supporting domestic flowers! 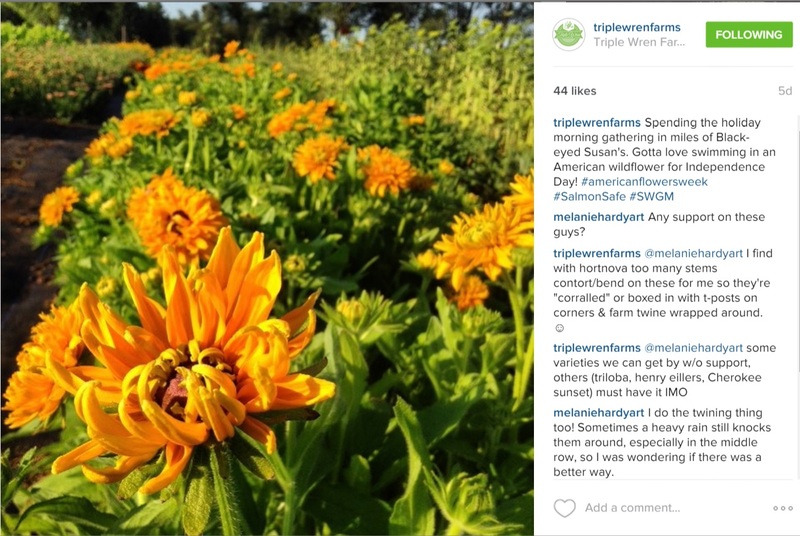 On Twitter and Instagram alone, mentions of #americanflowersweek generated more than 400k impressions in one month. That’s pretty exciting for what was a mere idea six weeks ago! 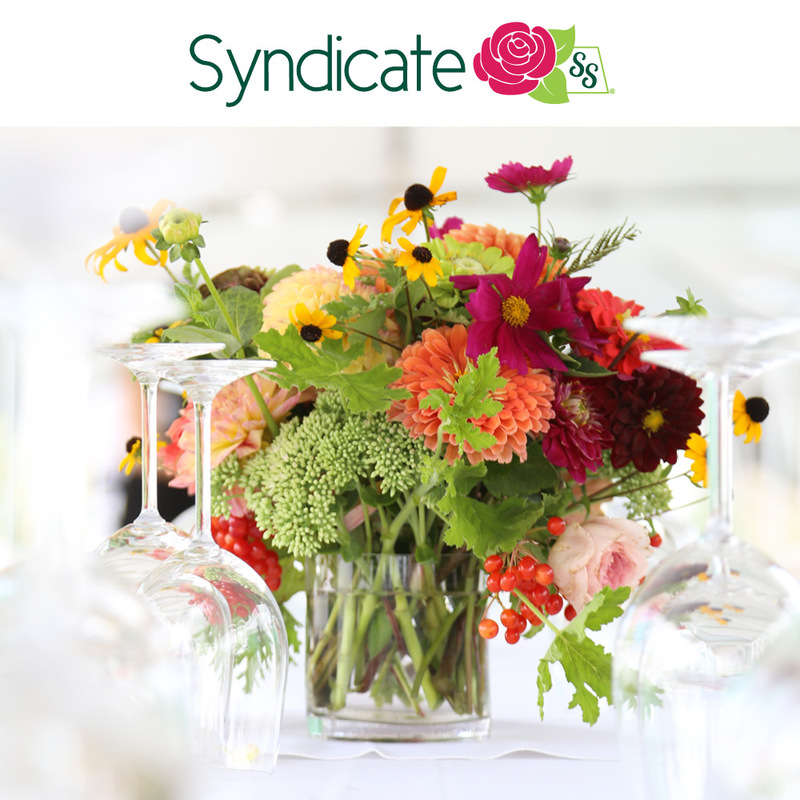 Huge thanks to our top participants – without their intentional involvement and embrace of American Flowers Week, we would never have created so much beautiful buzz about this grassroots campaign. 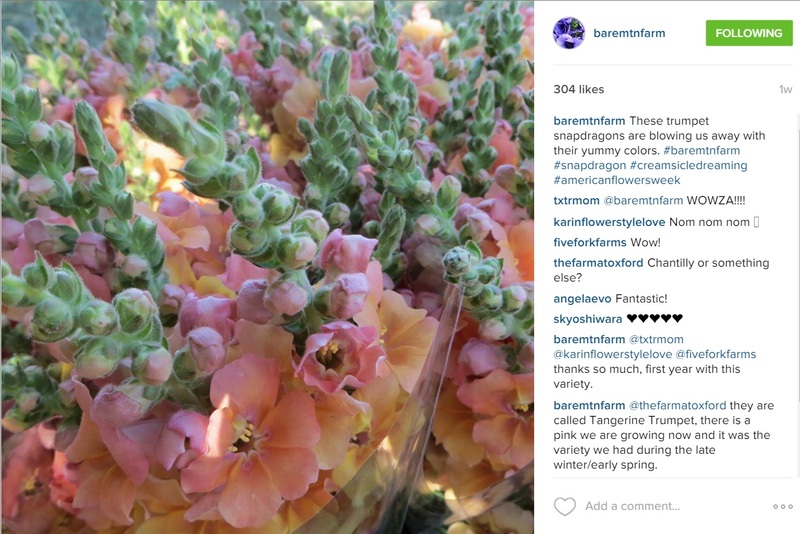 Top post honors go to Farmgirl Flowers of San Francisco and Los Angeles for generating more than 3,500 likes on Instagram with a special “firecracker” bouquet promotion designed just for American Flowers Week. You rocked it, Farmgirl Team (cute bike messenger model, too!). Verbena Flowers & Trimmings of Roseville, Calif. 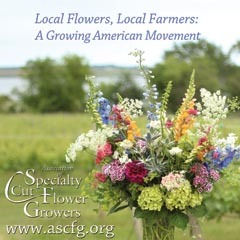 Mom Karen Plarisan and daughter Karly Sahr posted a charming American flowers week bouquet they grew and designed with the “support your local farmer” message. 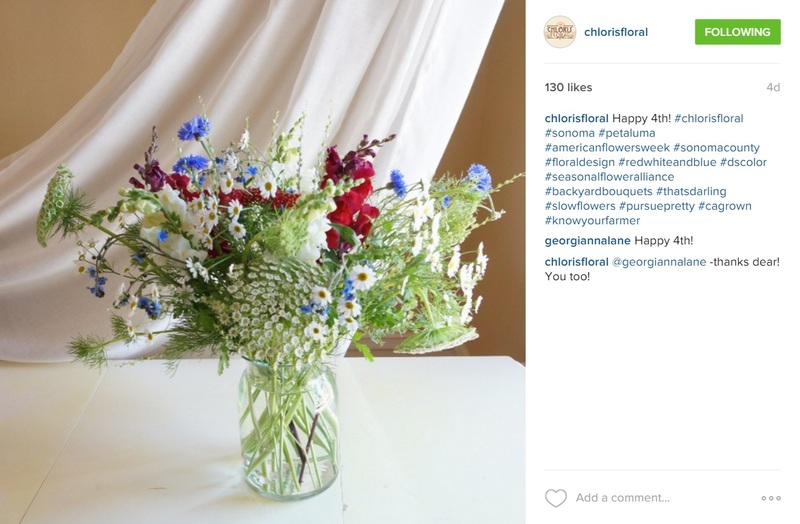 Betany Coffland of Chloris Floral in Sonoma County, posted a romantic bouquet that wowed with the American Flowers Week message. 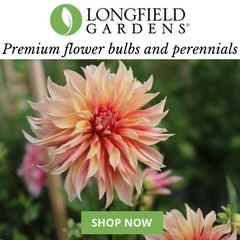 April Lemly of Portland’s Kamama Flowers was our most frequent and active participant. 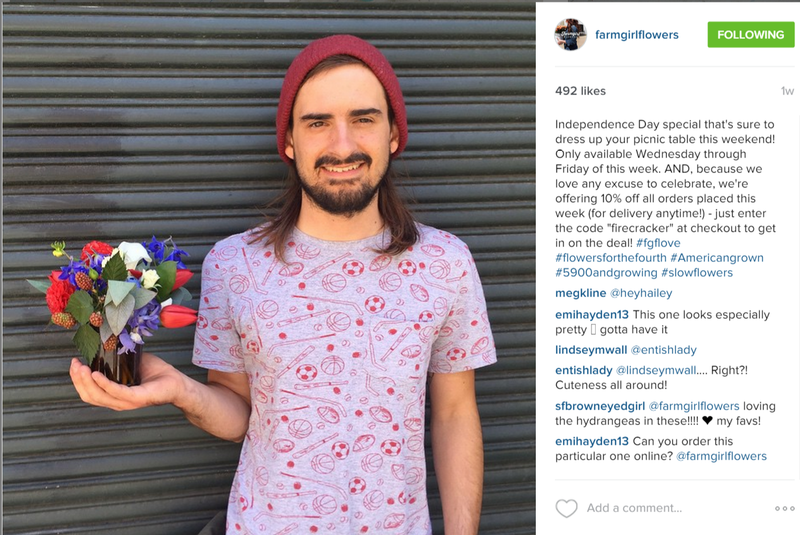 It’s so great to have a Slowflowers.com florist who is also a gifted graphic designer, right? 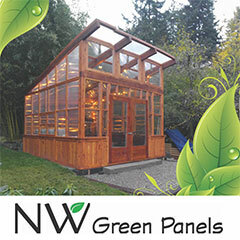 April’s engagement was followed closely by Sarah and Steve Pabody of Triple Wren Farms, of Lynden, Washington. All together, the metrics are super impressive! Thank you to everyone who participated! 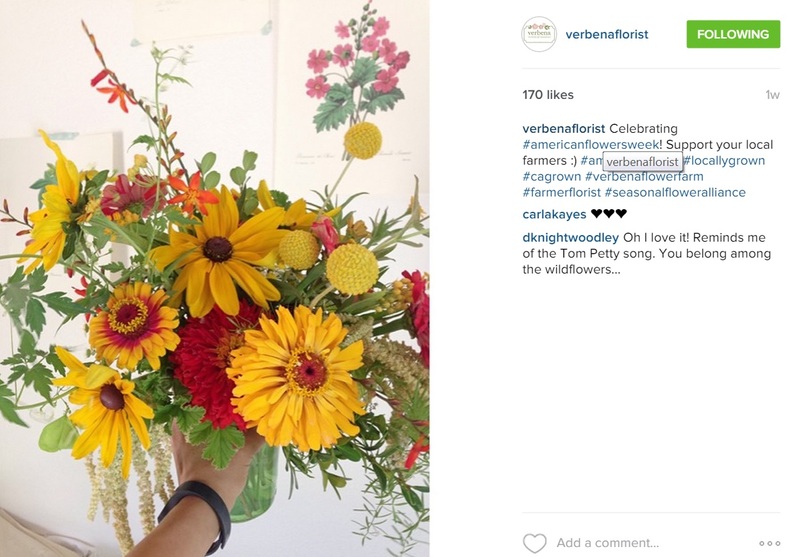 Let me know if you have ideas for American Flowers Week, 2016! 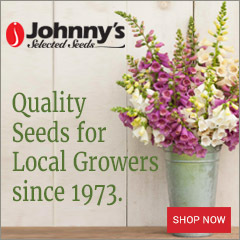 I’ll be looking for many advisors — designers, flower farmers, wholesalers and sponsors to help us move this campaign to the next level! 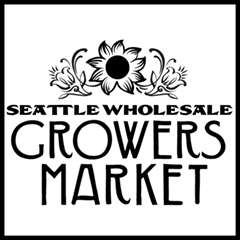 PS, a very special thank you to artist Jean Zaputil for illustrating this gorgeous logo! Learn more about her work at Studio Z Design and Photography.